Easier to Use – the G24 is designed to be understood with 5 minutes or less of training and programmable to automatically operate according to the industry’s best practices. Less Expensive – by leveraging the global electronics supply chain with new and fewer components, Gammaflux has succeeded in developing its most affordable controller yet that continues to provide the superior performance Gammaflux products are known for. More Flexible/Standardization – the standard two-zone 15 amp per zone output module easily controls both hot runner tip and manifold zones, making it easy to use across a range of molds. Gammaflux controllers work effortlessly with any brand of hot runner system; standardizing with Gammaflux allows users to pick the best hot runner supplier for their specific applications. 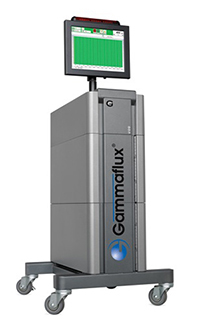 While most Gammaflux temperature controllers are used on hot runner injection molding applications, they are also increasingly being used for controlling thermoset, liquid injection molding (LIM), reaction injection molding (RIM), blow molding, thermoforming, and extrusion (profile and sheet) applications. The new G24 is the most flexible temperature controller Gammaflux has ever produced, and is designed for ease of use across all of these platforms.